The Level 6 and 7 Junior Olympic Optional Teams from the Gymnastics Zone competed at USA Gymnastics Junior Olympic Level 6 & 7 State Championships on April 2 & 3 at the Robert Livermove Community Center hosted by Edge Gymnastics of Dublin. Ashley Gilbert –ninth on vault, fourth on beam, sixth on floor and tenth all-around with a score of 35.850. Ashlyn Parlett –fifth on vault, sixth on bars, fifth on beam, fifth on floor and sixth all-around with a score of 36.625. 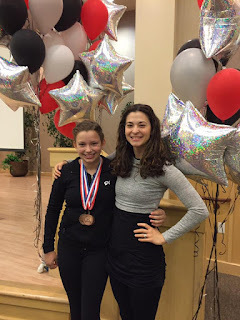 Camille Silva –sixth on vault, sixth on bars, eighth on beam, ninth on floor and sixth all-around with a score of 36.275. Shannon Sowersby – fifth on vault and eleventh all-around with a score of 35.725. Maddison Fernandez – second on vault, seventh on floor and eleventh all-around with a score of 35.700. Haley Corrigan – ninth on beam, ninth on floor and eleventh all-around with a score of 35.375. Kristina Meno – fourth on vault and ninth all-around with a score of 35.875. 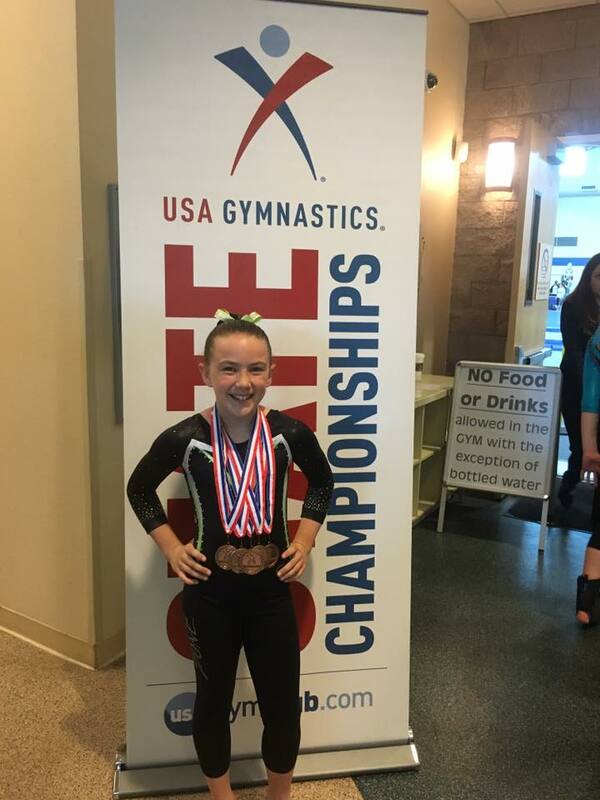 The level the level 7 team members all qualified for spot and will compete at USA Gymnastics Region 1 Championships in Chandler, AZ on April 22-24.